Rated 5 out of 5 by JAYE8 from eipix games linden shades This game was like all the Eipix games: great! BUT, no walk through on bonus and getting stuck on a puzzle with numbers is a waste of time.... Regardless...I loved it! Rated 5 out of 5 by Snowview from Story-driven gem Based on the completed game, this goes on my short list of all-time favorites. Thank you developers for making such a fun and different game. Beautiful, pastoral setting, suspenseful plot that never sours. A Mystery to solve rather than occult gobbledygook. Quality is maintained throughout. I also appreciate that gameplay took place among a few scenes at t time so no long treks to find stuff. An antidote to the tiresome clones out there. Rated 5 out of 5 by nae31950 from What a game My experience with this game, was just AWESOME... The visual affects, the storyline, and the entire game, was a JOY to play.. Not too often do, I leave a review, BUT THIS GAME WAS SO WORTHY, that I had to give credit, to this game...Try it... You will like it.. Rated 5 out of 5 by denniann2 from i enjoyed playing this game!!!!! played casual. low sound. hint/skip charge fairly fast. there is a diary and a map that is interactive. the hints also tell you where to go next. the graphics are really great!!!!!!!! not hard to see at all. you are a journalist that has been sent out to findout why an orphange has been abandoned and to solve the mystery behind the "ghost" in the red robe that has scared the children so much. sequel.......possible. Rated 5 out of 5 by mycatluna from A Game That Exceeds All Expectations This game comes from game developer Eipix and I am incredibly impressed with their games; most recently, this wonderful HOPA that I can foresee being a contender for one of the best HOPA games of 2013. Compared against the same old and tired cookie-cutter games that the casual gaming market seems to be flooded with as of late; this game from Eipix stands apart from the rest. I won't go into much detail about the game mechanics as others have already covered that area thoroughly. What I will say is that everything from the opening cut-scene to the final credits (which are hilarious by the way and I recommend reading through them) were done exceptionally well. 5 stars all across the board as far as the game mechanics, voice-overs, storyline, atmosphere and ambiance. 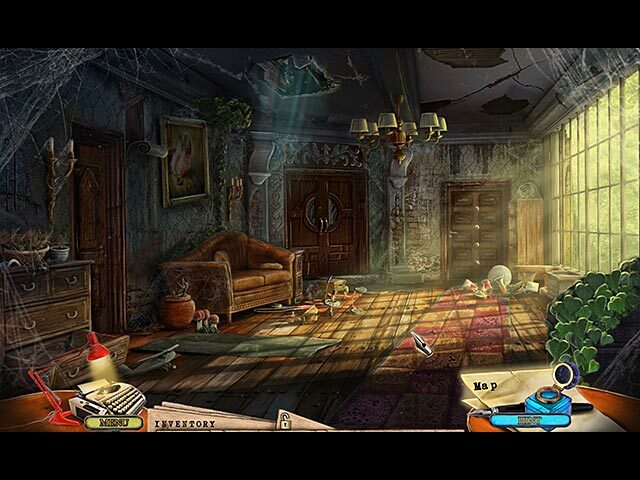 The game is bright and colorful while still maintaining a chilling experience and can be enjoyed by a variety of players as it does not delve into the occult; it is a mystery to solve and is extremely well-polished. It is obvious from the start that the developers put a lot of hard work into this game, which, as a player, I really appreciate. There is a perfect balance of adventure, HOS, mini-games and mystery to keep the player entertained and invested. The puzzles were just difficult enough to provide a challenge but not so difficult that players will get frustrated and hit the 'skip' button. 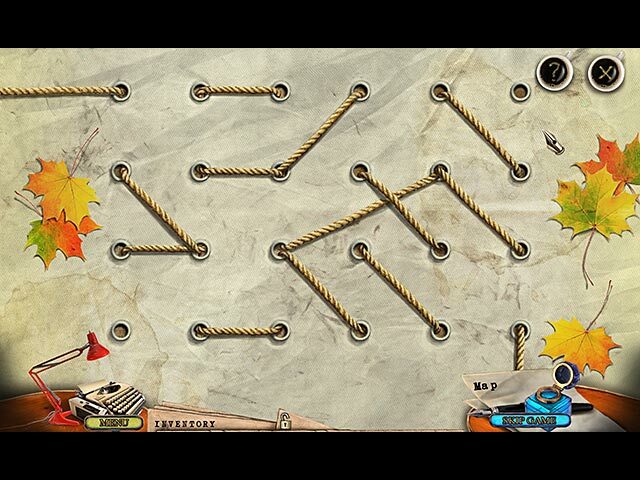 All skill levels will most likely find the mini-games and puzzles both fun and solvable. CE versus SE: The CE does include 3 different types of collectibles that are very well hidden. I liked the extra challenge of trying to locate all of the collectibles due to the difficulty level of trying to locate some of them. The fact that their locations were not blatantly obvious really increased the fun factor. There are also achievements, an enjoyable bonus game, the usual wallpaper and concept art, a rather enjoyable 'making-of' video and a few other extras that aren't often seen packaged with CE's. Even without the bonus chapter or all of the extras, this game would still be well worth the CE price tag if you are able to afford it. Otherwise, the SE will be just as enjoyable as the game wraps everything up nicely at the end so all players, regardless of game version purchased, can enjoy it which I find admirable on the part of the developers.The length of the game is just right. It's not a short game by any means, nor is it too long to the point where a player may begin to get bored. You will get your money's worth of playing time with this one. I spent at least a solid 6-7 hours on this (roughly 5 hours on just the main game) and consider myself an expert player. I did read the journal, watch all cut-scenes, find all the collectibles, attempted to earn as many achievements as possible, did not skip any dialog, puzzles or HOS, or use the hints or the map. The interactive map that let's you jump from location to location is nice to have, but not really necessary as there is not a lot of backtracking in this game, which means less filler and fluff and more actual game-play, which is also appreciated. I look forward to more games by this developer as they have definitely set the bar high in the HOPA genre. Very well done game. Bravo to those that worked very hard on this enjoyable game; your efforts paid off. I highly recommend this game to players of all skill levels. Rated 5 out of 5 by elenasstar from love this creative team! This is the same team that did 'Final Curtain'. I think they're Russian which is cool because this game translates very well. The creators play actual characters in the game. I like their graphic alot. It's not the most challenging game...but it's lots of fun! Rated 5 out of 5 by jmcbeauty from Demo Only Played demos (SE & CE) and actually finished the demo for SE. I thoroughly enjoyed the SE and did not miss the achievements and collectibles. The game was crisp, clear and colorful. The games were not difficult and the hos had a twist, at least each hos had one item that needed to be filled or put together. I also enjoyed the safe mini game (reminded me of other puzzles games that I enjoy). The recordings helped move the story along and whetted my interest to continue on to find out what was happening. There was not a lot of running around, most items were used within a short distance of where they were found. The story of an older journalist giving you a cold story that had been niggling at him because he never had the chance to find out what happened. As you enter the now abandoned orphanage, you meet the neighbor, talk with him after which you begin your journalist journey. It's up to you to find out what happened. It was an extremely enjoyable hour spent on a quiet Sunday morning and I defintely recommend this game. Rated 4 out of 5 by hermitcave from Is the orphanage really haunted or is someone behind it for another reason? It is Kim's birthday at Linden Shades Orphanage and they are having a party when a red-cloaked boogeyman is seen at the window scaring the children and ruining the party. The orphanage director has been concerned for weeks about drawings made by the children that all show a red ghostly figure and even contacted the local police who were unable to provide any help and, frankly, didn't believe the ghost stories. Some of the staff has decided to leave in fear and the director decided to try and find proof of the sightings so she set up a camera and tried to get a picture. The one picture she was able to get was blurry and only of a robed figure with the face hidden. Local police still refused to do anything so it was decided to close the orphange and find foster homes for all the children. That was in 1969. Today, I, a reporter, was called to my editor's office and he has given me the file on the Linden Shade story that he worked on in 1969 but never was able to investigate as his editor pulled him for another breaking story that turned out to be his career maker. He has always wanted to find out what was happening and wants me to go there and investigate. The orphanage has been abandoned and the taxi drops you off at the old farmhouse located on the orphanage grounds where you meet a neighbor, Bob Walker, who says he owns the farm next door and that he has heard about the ghost stories but doesn't believe them. He leaves in a hurry making you wonder if there is more to him than he is letting on. At the side of the house, you see a young boy looking through the gate who leaves quickly as you approach. As he was dressed similar to Bob you wonder if it is his son. As you explore, you see a red-cloaked figure in the barn but it disappears. Is this place still haunted? You need to get to the main orphanage building across the river but you need to repair the boat first and get it in the water. At the river, you talk to Ricky, Bob's foster son, and learn about an old mine on the property and that he has seen someone dressed in red enter it. You now need to cross the river, explore the main orphanage building, check out the old mine and discover the truth begind the red-cloaked ghosts. The introduction cutscene contained live actors that did a fairly good job but the rest of the game featured animated character models that looked liked the live actors. It was nicely done so did not detract from the game. Voice acting was pretty good. Locations are well done and detailed and fit the theme. Music added to the suspense and did not feel repetitive. There is a jump map with action areas indicated. Throughout the game you find cassette tapes made by the orphanage director that tells the story up to the closure of the orphanage. Inventory puzzles and minigames were fairly simple and easy to complete. Items are used fairly quickly and backtracking is kept to a few locations. There are a lot of hidden object scenes that are short, simple and of the standard interactive list type with a lot of interactions including some minipuzzles. 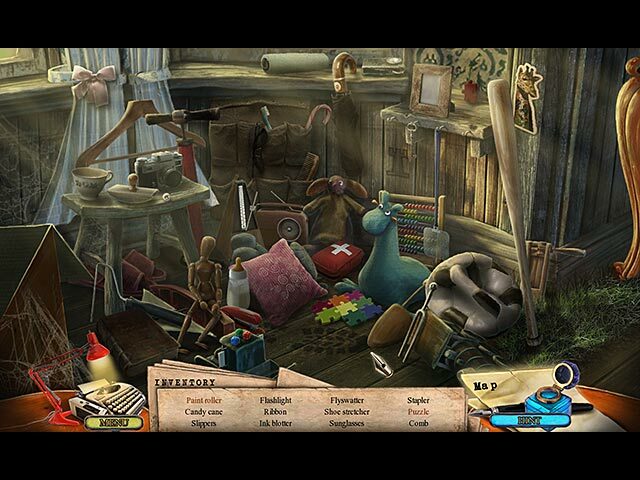 A straightforward classic hidden object game wrapped around a basic story of greed that will provide several hours of diversion. 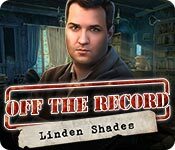 Rated 4 out of 5 by mattiehelen2002 from Off the Record: Linden Shades I purchased the game because it was EIPIX, and had planned to purchase others. After the Little Mermaid and the Purple Tide, I was sooooo hooked and guess I expected more of the same, particularly in the extras and achievement sections. I thought I would get to go back and find all the crayons and toys, but alas, it was not to be. I only accomplished 6 achievements. I am really good, but there is no way anyone can finish this game in five (5) hours! The red circles alone took me 5 days before I solved it once, and it really is unfair to ask a player to solve it three (3) times. I was so looking forward to the extras and really love replaying the puzzles, especially the pong game and the red circles. The puzzles were fun and creative, although I recognized a couple of scenes that were variations from other game puzzles, but I really enjoyed them. I can't recall the game, but I recognized the red circles and really glad I can keep playing them over and over. I solved it 7 times, but still cannot figure out the logic to solve it quickly – and 3 times?????. Puleese!!! The graphics were crisp and I enjoyed the story line. I don’t play with sound so I read everything and even enjoyed the comments in the credit section. The HOs were just the right amount of difficulty and I liked that there were a lot of them – (5 hours). I give this game a 4 only because I cannot go back and improve on my achievements. I am not going to replay the game just to find the crayons and the one toy I missed! There is no time incentive/gold medal and so no incentive for me to go back and play the HOs, but I enjoy them anyway. I recommend this game; however, EIPIX has a tough act to follow after the Little Mermaid and Purple Tide.